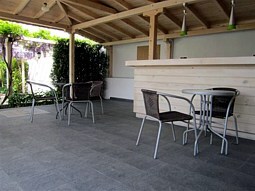 paid till 31st ot January 2018! 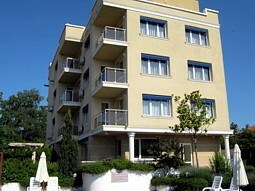 This nice self-catering apartment is situated in a Holiday Complex “Byala Residence” in the city centre of the Black Sea resort of Byala. 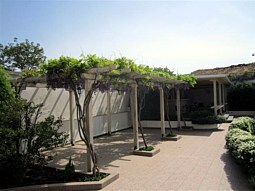 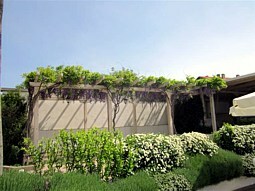 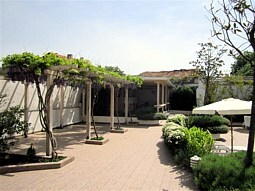 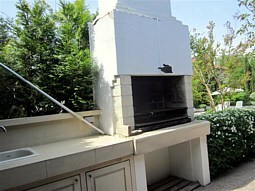 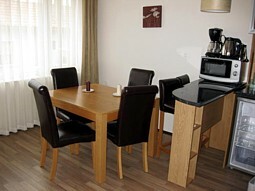 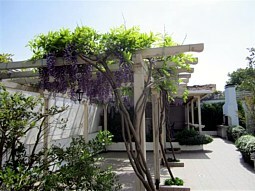 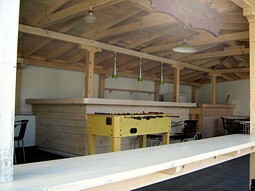 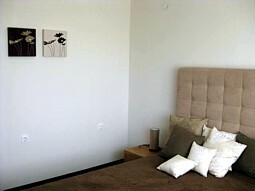 The complex is situated on very quite street where leave local people and you will be able to touch to their lifestyle. 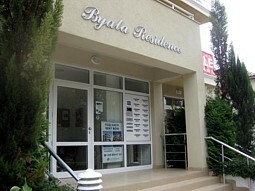 Complex Byala Residence is situated 5 minutes to the beach with car. 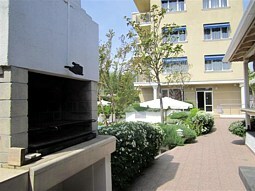 Available for the guests in the Complex are swimming pool in a beautiful sunny garden with a large veranda, coffee-bar and BBQ, children swimming pool, sun-beds and umbrellas and laundry room. 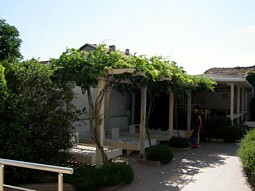 In front of the building is a municipal park with high trees and lovely children playground. 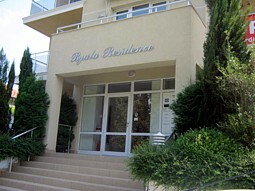 The sea is located to the east of the building – just 20 minutes walk. 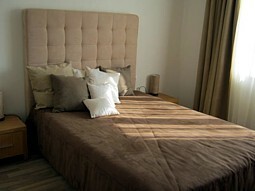 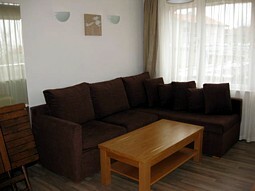 The apartment is suitable for couples or families with children. 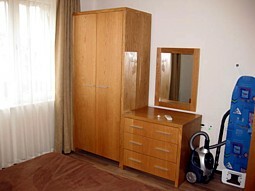 It offers one fully furnished bedroom with double bed, wardrobe and chest of drawers. 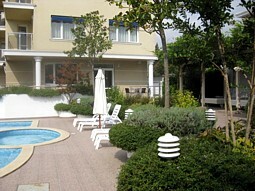 The windows look to the garden and the pool. 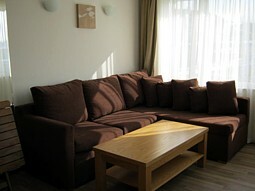 Additionally there is a large open-plan living room with comfortable sofa-bed /another two can sleep on the sofa/, coffee table, TV, Cable TV and wifi internet; dining area with table and four chairs; fully fitted kitchen – oven, hot-pots, fridge, microwave, coffee machine and all needed pottery. 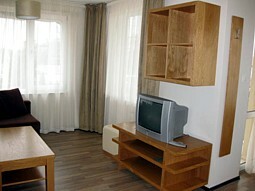 There are air-conditioners in each room. 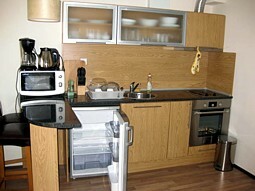 The flat is served from a modern bathroom with shower-cabin and toilet. 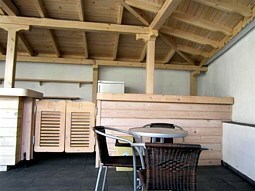 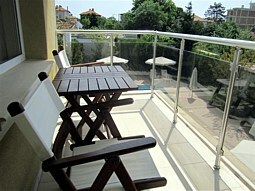 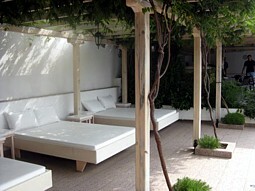 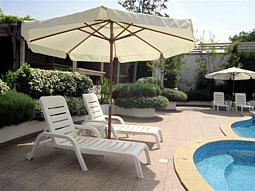 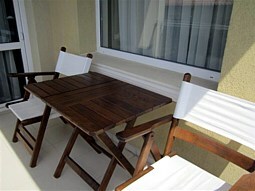 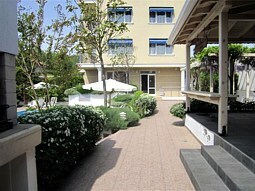 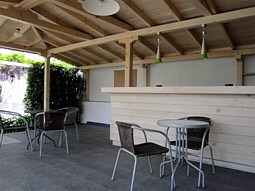 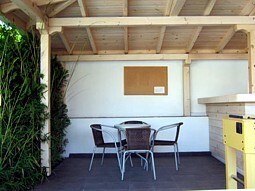 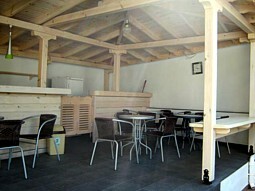 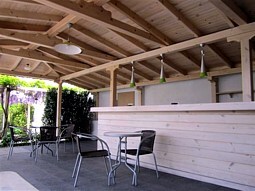 A nice balcony equipped with plastic table and chairs looks to the garden and swimming pool.